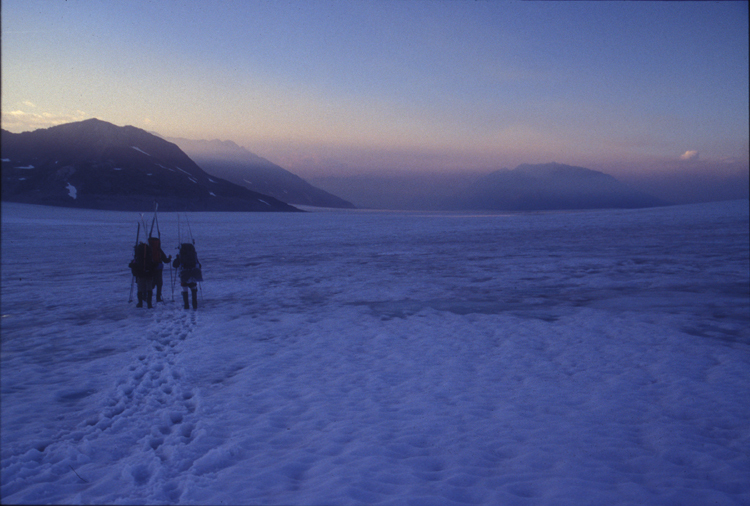 On the way from Camp 18 to Camp 26, we travelled down the Llewellyn Glacier. Here we crossed the transition from snow to ice (and skiis to crampons). It was late in the day but we made it to camp before it got too dark to see. The curve in the horizon is real, not a fish-eye lens effect. There is a bit of smoke in the air from nearby forest fires.